Based on the George R. R. Martin’s series of fantasy novels called A Song of Ice and Fire, Game of Thrones has won numerous Primetime Emmy Awards from 2011-2014. It’s the most popular show ever in HBO’s history after The Sopranos. 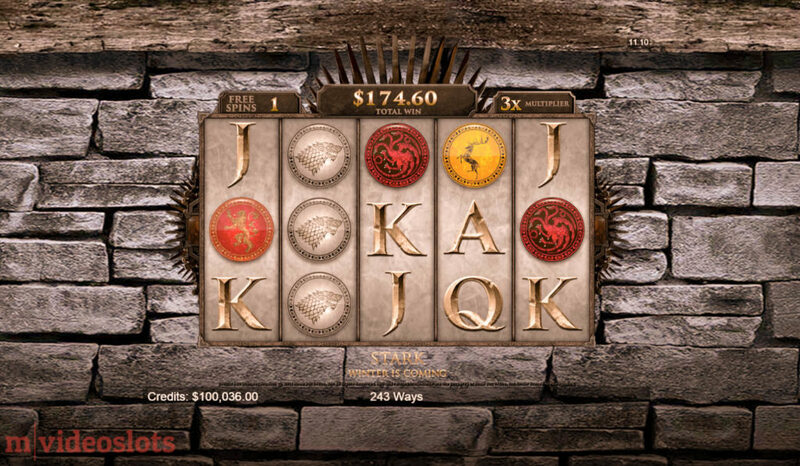 On 1st December 2014 Microgaming’s highly-anticipated Game of Thrones video slot launched simultaneously online and on mobile. And to make things even more interesting, they released the game in both 243-ways-to-win and 15-line formats! 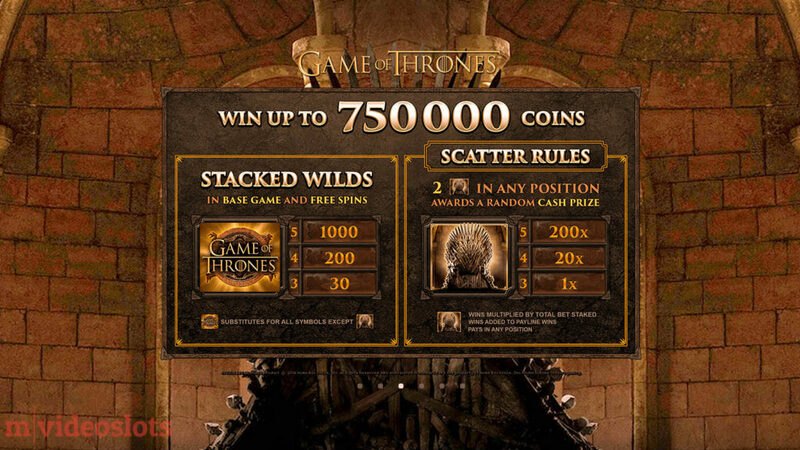 Here’s everything you need to know about the two Game of Thrones mobile slots. Lannister — Hear me Roar. I don’t expect you to know about much about these spectacular series. 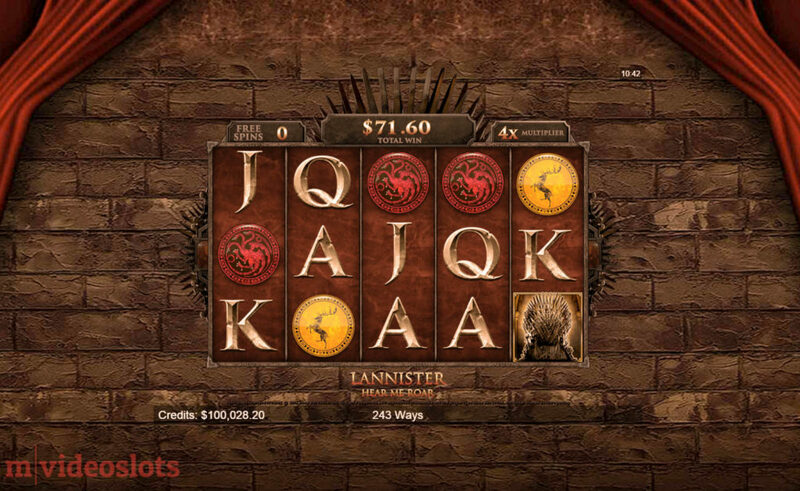 Even if you’ve never heard of them, the Game of Thrones slots are not something to be missed. Both games are available on Microgaming’s Viper (download) and Lite (Flash) platforms, as well as Quickfire. This makes them accessible from a number of mobile compatible online casinos such as Guts.com. 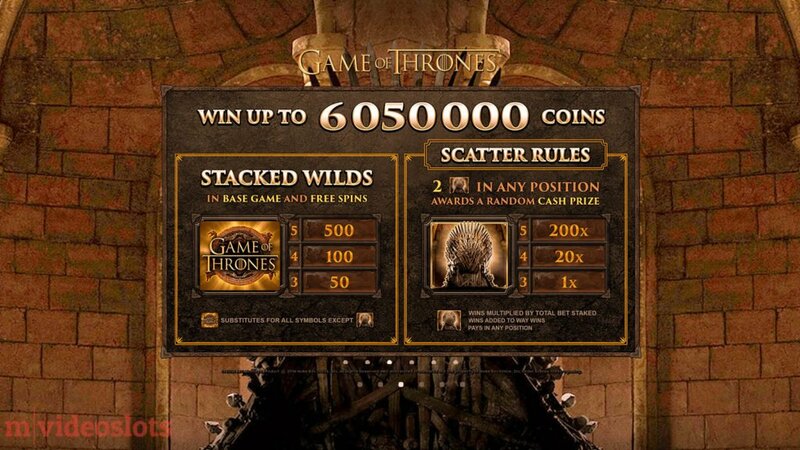 Will the Game of Thrones mobile slot become as popular among players as with the TV series? General feedback from the forums like Casinomeister has been rather neutral. You will find decent 5-of-a-kind wins and even Super Big Wins here and there (mostly thanks to the stacked Wilds), but they are equally balanced with poor gaming rounds. But for now, let’s see what payouts you can expect from the symbols. First of all, in both versions you can bet up to 10 credits per line. 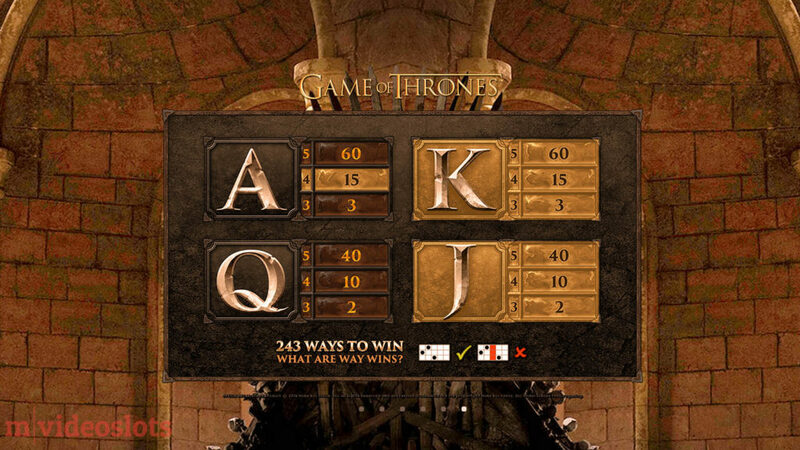 And so you know, in the 243-Ways Game of Thrones mobile slot, you can bet as low as .30 credits like on a 30-liner. There’s no auto-play, so you have to spin manually. And as you can see from the screenshots, the graphics are absolutely astounding, especially the Iron Throne that’s in the background. The HTML5 or mobile rendition of the game is no worse than the desktop counterpart. Winning symbol combos turn golden in the paytable for easier tracking like in Thunderstruck II. 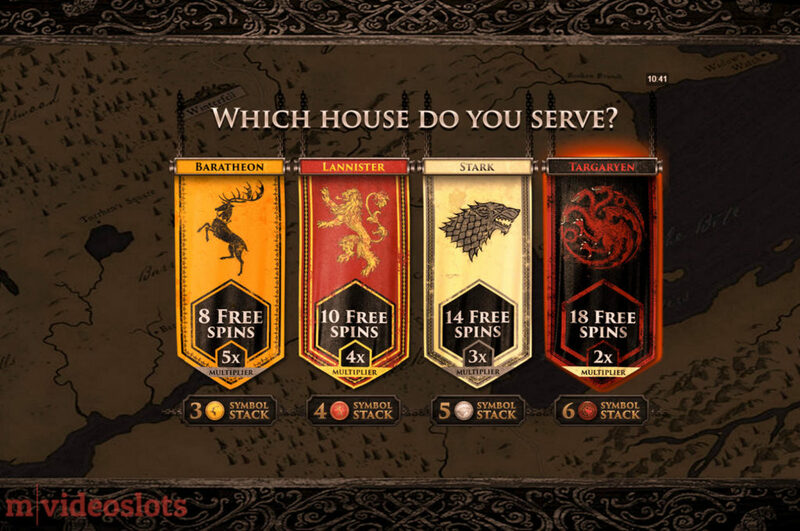 These are the noble houses featured in the video slot. As you can see from the 2 images — above and below — the 2 versions of the Game of Thrones (GOT) slot pay very differently. The 243-Ways version is shown above, and the 15-liner is shown below. With the former, you can win up to 250 coins for 5 in view, whereas the latter gives you a chance to win up to 600 coins. This is the same thing with the low pay A, K, Q, and J icons. And that’s no wonder, as at their core they have different mechanics (as in terms of RTP percentage as well as variance). Things are getting really exciting thanks to the high-pay symbols like Stacked Wilds. This is the only icon that appears stacked in the game, and fortunately it does so in the base game as well as the very exciting bonus feature! Again, you can clearly see the difference in payouts between the 2 types of games. This is the 243 Ways GOT. This is the 15-line GOT. Which House Do You Serve? The only symbol that pays the same in both the 243-ways-to-win and 15-line GOT is the Scatter in the form of the almighty Iron Throne! You win 200x the total stake every time you trigger 5x of them in view at once. Even triggering just two of them there’s a reward in the form of a dragon’s egg. 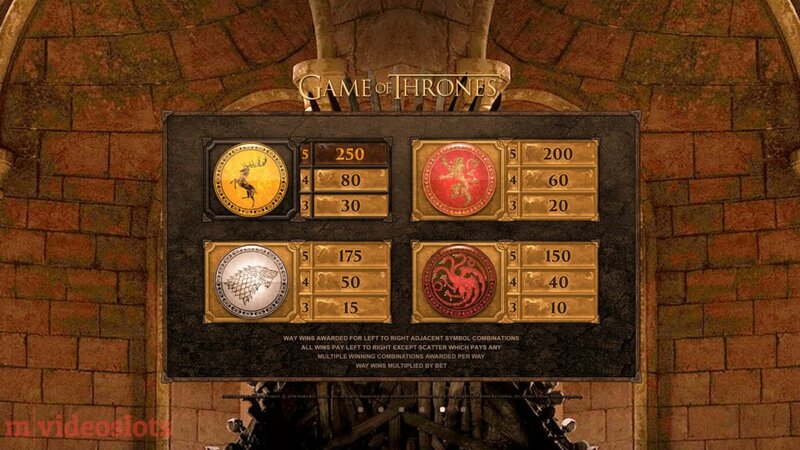 Watch as one of the Iron Throne symbols turns into the egg and award you a random instant prize! So what happens when 3x Iron Thrones land on the screen? It’s simple – you trigger the Free Spins Selection feature. That’s the most exciting part of the entire game – so which house to serve? 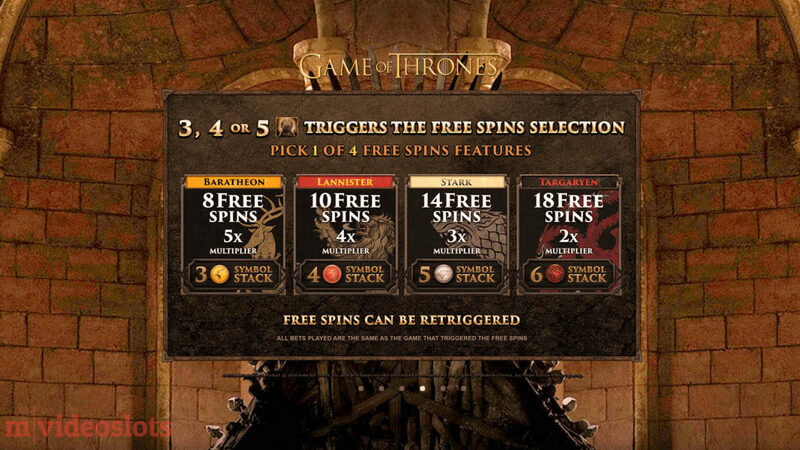 Is it going to be Baratheon — with just 8 Free Spins but an impressive 5x multiplier? 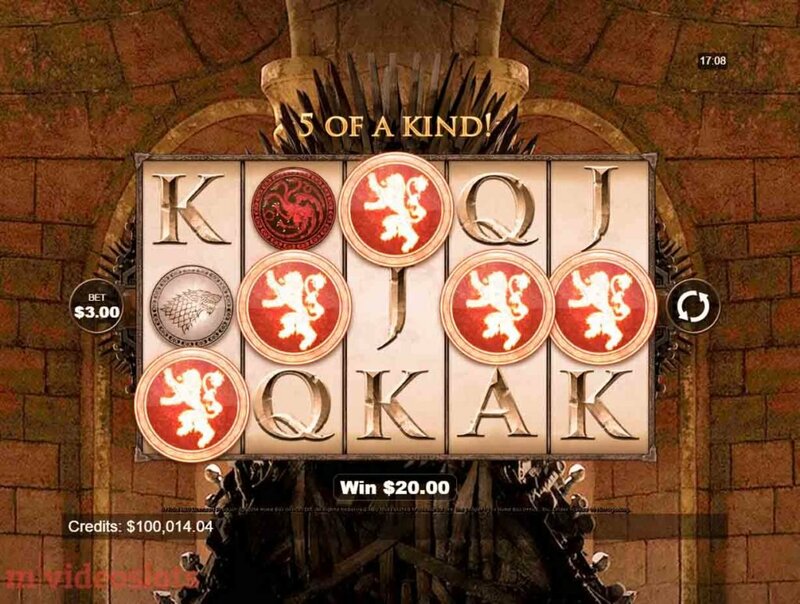 Or is it Lannister — with 10 freebies and 4x multiplier? Why not Stark — with 4 more (14) Free Spins with a modest 3x multiplier? Perhaps it’s the Targaryen — with 18 spins and just 2x multiplier this time? There’s one more thing that only players who have played the desktop version of GOT will notice…. 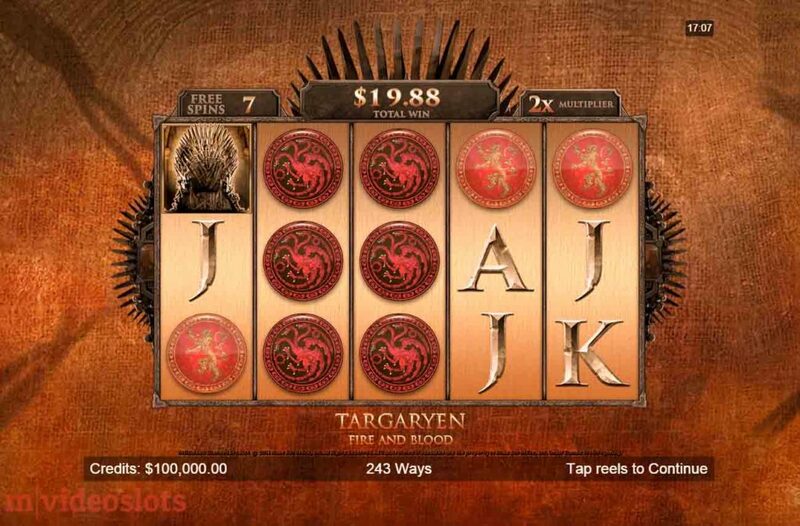 There’s no Gamble Feature in the mobile version of the HBO’s video slot. Wondering what’s the best choice in the long run? 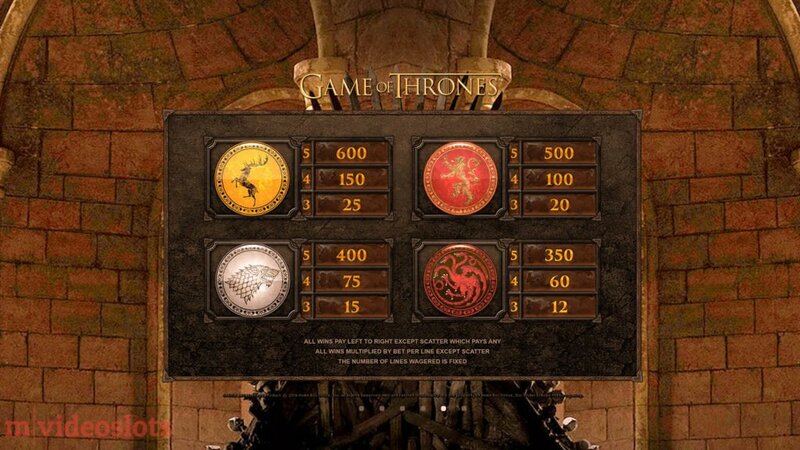 Well, to give you the best overview of statistics, one of the Casinomeister forum members, Blathaon, posted results of his 400 feature triggers on the 243-Way GOT. Oh, and the most that he hit in the base game was 990x the total stake! Not bad at all. So as you can see, the results are fairly random. Judging by this data only, I’d go with the Baratheon feature…but I think in the long run they would pay the same on average. Which Version of GOT to Choose? So far, the 243-Ways GOT has been the most successful and popular among players. After all, it’s one that’s less risky and offers higher jackpot potential with its 6,050,000 coins versus 750,000 coins (the 15-liner). I recommend you try them both in practice play first and see which one you like the most. I played at Vera&John, but you can play at any one of the featured casinos below as well. Are there any other 243-Way mobile slots that I would recommend? From Microgaming, I’d suggest you try Thunderstruck II and one of the four sports-themed ones that run on the same engine: Cricket Star, Break Away (hockey theme), Football Star, and Rugby Star. How about Twin Spin? – This is 243 Ways too, and that Twin Reel feature is absolutely addictive.